Curious about this years newest SEO Ranking factors? This is an exciting time for SEO experts and newbies alike. We’re getting great information on potential SEO ranking factors, real-time penalties, and learning new ways to search online. With the advent of AI (artificial intelligence) as used by Google, you may wonder whether to use new approaches or stick with time-tested methods. Here, you’ll learn the most current and important factors affecting on- and off-page SEO rankings. We keep this article basic, so it can be used as a helpful tool for your SEO ranking. Title tags, H1 and H2 tags, alt tags, meta descriptions and URL optimization are still important. These factors won’t help you find precise keyword matches, but they serve as a guideline so Google can understand your ranking goals and intentions. Try focusing on meta descriptions and title tags that express your calls to action and increase your click-through rates, and don’t worry so much about including all your keywords. Define your ranking goals and ensure that your on-page search engine optimization efforts are speaking the same language. We all know that content is a vital SEO factor, but it has to be optimized and original. Besides your content optimization efforts, you should think about formatting as well. It’s not easy to figure out, but if you learn how to format and design your articles, you could get a wider audience and greater exposure for optimized pages. Longer content pieces still tend to achieve higher ranks, and the average piece of content on the first page of Google has roughly 2000 characters. Finally, content that includes images is more likely to rank high than pages with no pictures at all. Despite popular belief, page rank is still important. Building inbound and internal links with niche relevance and high authority is still the quickest and best way to achieve high Google rankings. Many SEO experts underestimate the importance of internal links, which can be disastrous. If you want decent page rank, you’ll need to remember that external and internal links with the correct anchor tags can help you achieve your goals. We’re not talking about keyword stuffing here, but building of branded keywords. 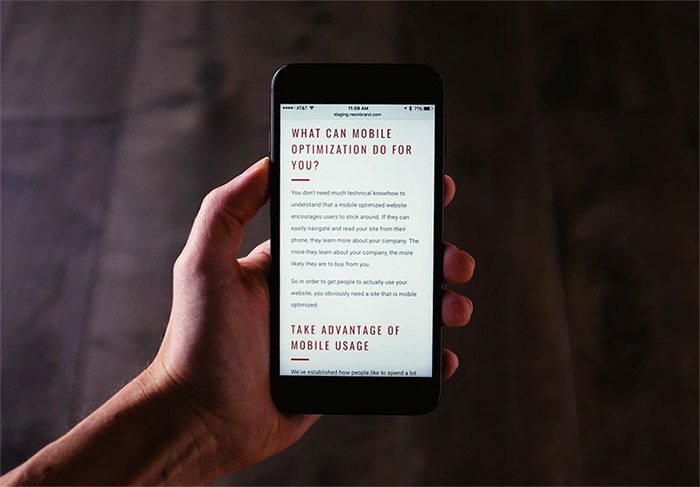 In today’s world of mobile indexing, it’s best to focus on mobile users first and try to recreate the desktop experience. It’s very disappointing, not to mention frustrating, when your users can’t have the same experience on a smartphone or tablet that they have on a PC or laptop. Consider using AMP pages on your site for seamless surfing and fast loading. While secured protocol still isn’t the top of the SEO ranking factors, it’s growing in importance every day. It’s easy to see, by the sheer number of websites showing up in the SERPs as HTTPS. If your site has any user-generated content, or if you sell things online, you should consider making the switch to HTTPS as quickly as possible. 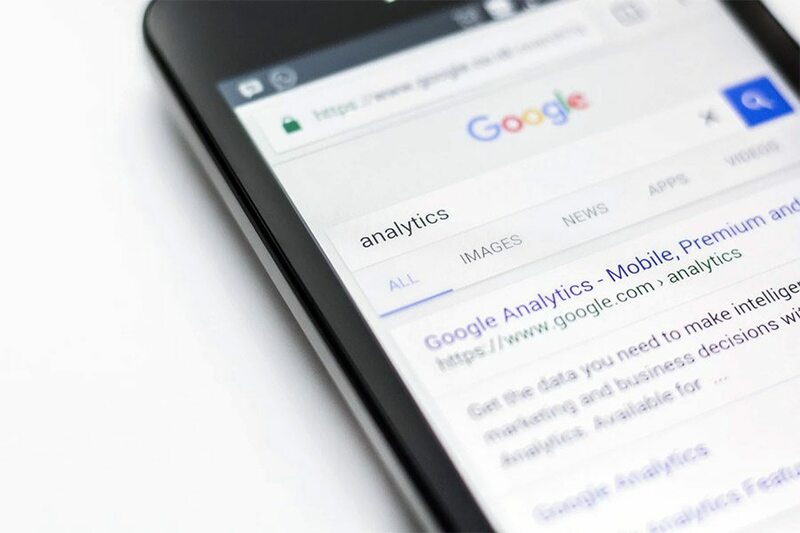 Google is striving to secure the connections between websites and users, especially when the sites fall into the above-mentioned categories. Web users have exceedingly short attention spans, and they hate slow and unreachable pages; Google doesn’t like them, either. Regardless of how well-optimized your content is, if your site loads slowly, it will affect your click-through rate, your bounce rate, and your overall UX (user experience). If you don’t pay attention to your page load speeds and performance, there’s no way you’re going to get to the top of the SERPs. Google ranks sites based on loading time, and you should remember that when choosing a web hosting plan. These are just some of the items shown to be important SEO ranking factors. So….how can I speed up my site? There’s no disputing it; site speed is more important now than it has ever been before. in 2018 it is seen as one of the top SEO ranking factors. As connection speeds increase all over the world, users’ attention spans are becoming shorter, and they’re losing their patience with slow-loading sites. What’s more, Google has expressed its preference for faster-loading sites by ranking them higher in the SERPs. To capitalize on these benefits, you’ll need to put greater emphasis on the site’s speed by following the seven tips we’ve listed below. If you’re using a CMS (content management system) like Joomla or WordPress, you’ve likely already noticed that you can upload full-size images and adjust display size on the backend. However, doing this forces the user’s web browser to execute many commands when retrieving images and resizing them, and site speed can suffer. To prevent these problems, use an editing program like TinyPNG, which is a free online tool that reduces image file sizes without negatively affecting resolution, to adjust your images to the proper size before you add them to the site. 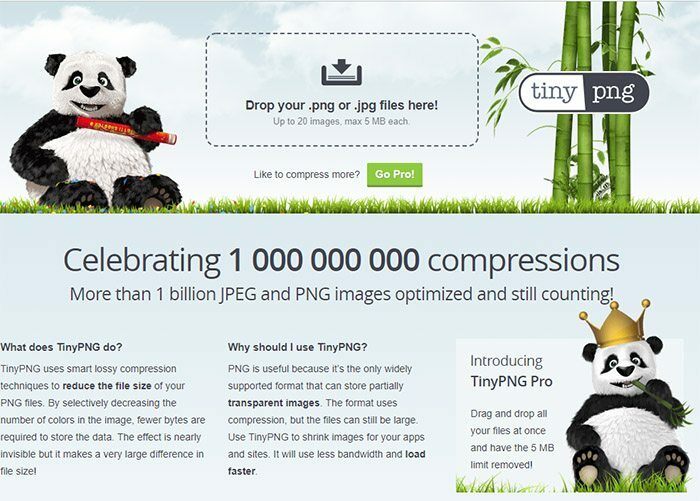 Here…we use TinyPNG multiple times daily! The significant number of scripts and plugins on the market today makes it tempting for site owners to overdo it with stuff they don’t really need. It’s worth considering that every plugin added takes resources to operate, and the more resources a site uses, the slower it loads. Before adding a plugin, ask yourself if the added functionality makes up for the decrease in speed, or whether you could code the content into the site’s theme. If your site’s running slowly, do a plugin review and run the site through GT Metrix or a similar tool before you do anything else. Depending on the e-commerce or CMS platform the site uses, you might have to monitor it regularly for script updates. If there are updates available, they should be implemented as soon as possible after you make a current backup. Developers continually sharpen their code for later releases, especially where site speed is concerned. By updating scripts to the most current version, you can eliminate coding obstacles that slow your site’s load times and you can also prevent your site from being hacked. CDNs or content delivery networks are groups of servers distributed worldwide. If you aren’t using a content delivery network, your users will have to access a central server. This can cause slowdowns, especially if visitors are in faraway places. Furthermore, if you’re only using one server, it’s likely that an overload can cause the site to fail completely. CDNs resolve these issues by allowing users to use a cached version of the site from the closest host, and they can also switch locations when a server becomes overloaded. With faster load times, your customers and the search engines will be very happy indeed. With browser caching, your site visitors can store copies of individual pages so, when they return later, the content can be retrieved from the cache as opposed to reloading the page. This reduces the resources needed to display pages, decreasing load times for visitors. The simplest way to allow browser caching is with a WordPress plugin called W3 Total Cache. Our favorite caching plugin is WP Fastest Cache. Alternatively, talk to a developer about how to integrate caching into your site’s server-side scripting. Doing this prevents progressive rendering and saves resources that the user’s browser would otherwise use on the loading and redrawing of page elements. 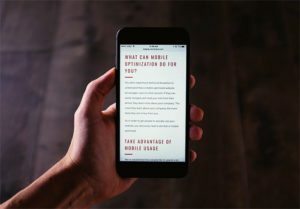 Although these techniques are just some that can help you speed up your website, they’re among some of the simplest to put into use. This list is the right place to begin if your site is slow and you don’t know why. By paying attention to these fundamental SEO ranking factors, looking for areas to be improved, and making the necessary changes, you can get your site closer to the top of the first page on Google. Want to see if your site passes? Get your free website audit today. In less than a minute, you’ll get a report on how your site stacks up to some of these ranking factors.